The pain associated with grieving the loss of a spouse seems almost unbearable at times. 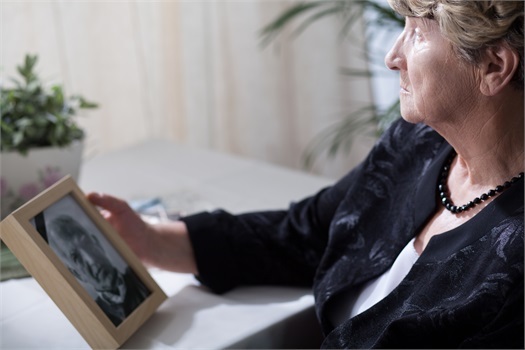 It's important to know there are resources in place to help you not only cope but even move forward in the days and months following the death of a spouse. We hope this page, dedicated to widows and widowers, serves that very purpose. APA’s Psychology Help Center is an online consumer resource featuring articles and information related to psychological issues affecting your daily physical and emotional well-being. The website has a number of online resources, including a tool to look up psychological support and counseling in your area. If you feel you are in a crisis, whether or not you are thinking about killing yourself, please call the Lifeline. People have called the lifeline for help with substance abuse, economic worries, relationship and family problems, sexual orientation, illness, getting over abuse, depression, mental and physical illness, and even loneliness.